Welcome to our office. 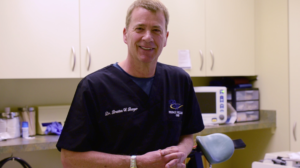 Dr. Burger received a Doctorate of Dental Surgery and a Master of Science in Microbiology and Immunology from the Baltimore College of Dental Surgery, University of Maryland in Baltimore. After dental school, he did a residency in Anesthesia at the Medical College of Pennsylvania in Philadelphia. He completed his residency in Oral and Maxillofacial Surgery at Michael Reese Hospital and Medical Center in Chicago, IL. Dr. Burger is Board Certified in Oral and Maxillofacial Surgery. Dr. Burger performs a full scope of practice in the field of oral and maxillofacial surgery. He has a special interest in dental implants particularly in the full arch reconstruction All-On-4 procedures. This technique is performed on patients who need to replace all of their teeth on 4 implant per arch. He has developed a bone grafting technique to increase the amount of bone needed before dental implant placement. This technique has gained national recognition and has been published in the Journal of Oral and Maxillofacial Surgery. He started a study club recognized by the Academy of General Dentistry, is an adjunct professor at the University of Memphis, Tennessee, and teaches many courses in CPR and surgery pertaining to dental implants and bone grafting techniques. Current Research Project: Development of a new guided bone regenerative membrane for maxillofacial, orthopedic and neurosurgical applications. Dr. Burger also has many different hobbies and passions, including outdoors activities such as water sports, horseback riding, camping, biking, hiking and especially playing with his cherished dog, Maia. Adjunct Professor, Department of Biomedical Engineering, University of Memphis, TN. Burger, B.W. Use of Ultrasound-Activated Resorbable SonicPins for Horizontal Alveolar Bone Augmentation, Clinical technique feature, Academy News, Academy of Osseointegration, Vol 21, Number 4, 2010, p 7.